Same old New Year's resolution? Try volunteering! After surviving the holiday travel and traffic, and after gathering family and friends together, and after ringing in the new year with a raucous celebration, after all these things, comes January. With any luck, a few inches (or feet) of snow will slow the pace of life even further. No wonder January is a time for new beginnings. There is time to breathe, time to contemplate, time to wonder. This year, as you contemplate making changes, think about volunteering. Read below to find out what volunteers are doing in your community, and what volunteering can do for you. AFHA AmeriCorps member Molly Swailes holds up a sign to help visualize during the installation of the "Discovering the Appalachian Forest" exhibit at the Darden Mill in Elkins. Volunteering. It can be a hard thing to make a priority, let alone find time for at all. I myself am guilty of setting volunteerism on the back burner. Years ago, at a job interview for a position that managed volunteers, I was asked, “Where do you spend time volunteering?” I was floored. They were asking where I volunteered, not if. They already assumed that I did. I tried to think on my feet, mentioning something about not finding time for volunteering during school. But, yes, of course I thought volunteering was important! Volunteering is just inherently important, right? Everyone knows that! I must have suitably answered the rest of the questions thrown at me that day in the hot seat. I got the job, and began managing volunteers just a few months later. I worked with people of all types, volunteering for all kinds of different reasons: motivated teenagers from the local high school (and a handful of lazy ones), men and women trying to complete their court-ordered community service, retirees looking to spend time doing something meaningful. I worked with gardeners, photographers, poets, techies, teachers, and outdoor enthusiasts. Even though I had not found the motivation to volunteer myself, I understood the importance of what these people did. I realized that managing these volunteers also meant utilizing each one’s unique talents. It meant making each one feel appreciated. It meant tolerating tardiness (once in a while) and being flexible in the name of greater good. I was amazed at what these people did. Even if they just stopped by to weed the walkways for an hour. Today, I can see more clearly from the other side. I am in the middle of my second year of service as an AmeriCorps member in Elkins, WV. 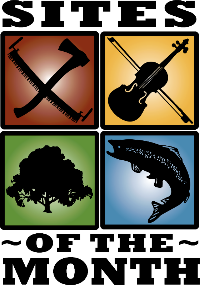 As part of my service with AFHA, I have designed interpretation and a museum exhibit, all in hopes of building interest in the region’s heritage. Swailes, teaching children about invasive species at at the Mountain State Forest Festival in Elkins, WV. I am not from Elkins. I am not even from West Virginia. But serving in this state, which is still part of my country, has given me tremendous perspective. I’ve made new friends, learned to love a new place, and even a new lifestyle. And, after hours of dedicated time, patience, and hard work, I have even grown a little bubble of…pride. Can you blame me? I believe that volunteering should be done first and foremost for the benefit of others. But don’t overlook the wonderful side effects that volunteering can have one one’s self. One thing to remember: volunteering is not easy. But does anything truly good come from anything that is truly easy? I still consider myself young, and I don't have much wisdom to offer up. But, I can tell you that the most worthwhile things in my life have taken time, care, and a good deal of (oftentimes very hard) work. It can take time and effort to even find a volunteer program that suits your needs, long before the volunteering even starts. But, I guarantee that if you put aside the time, and if you find an opportunity that interests you, you will be appreciated. You will make a difference. You will help your community. You may even start to grow your own small bubble of pride. I highly recommend it! 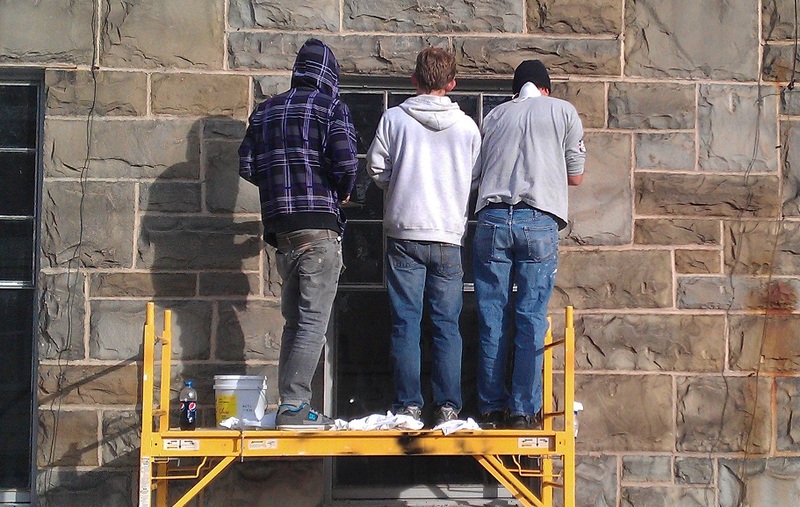 The AFHA AmeriCorps Hands-On Team has been restoring historic window sashes at the Elkins Volunteer Fire Department, a historic structure in downtown Elkins. The Hands-On-Team is a busy group of four. We are spread out over the Elkins area with our hands in many different projects. There is one large project that we are all continually working on this AmeriCorps year: the Elkins Volunteer Fire Department. 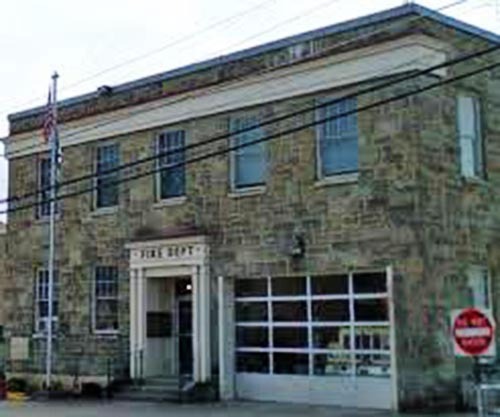 The Elkins Volunteer Fire Department is a stone structure that once housed City Hall, the police department, as well as the volunteer fire department. Since the building of the new City Hall, the Elkins Volunteer Fire Department took over the building. The building is home to forty-four rolled metal windows. These forty-four windows are in desperate need of tender love and care, meaning the windows need new glazing, caulking, and painting. By doing this, the windows will work more effectively, keep utility costs down, and look a lot better. The Elkins Fire Department consists of 4 staff members and up to 31 volunteer/paid-on-call members. Window repairs and restoration will make the building a more comfortable workplace for all. On this project we are joined by supervisor and tinkerer extraordinaire, Lynn Stasick of the Preservation Alliance of West Virginia (PAWV). Lynn blesses us with his presence every few weeks; typically, he brings along a new idea or contraption as well. There are many challenges working at the Fire Department. For starters, the Fire Department is in a constant state of commotion. People are always coming and going. When the boys get a call, we scramble to get out the way. When all four of us are there, we sometimes don’t have enough tools. Sometimes our tools simply trot off. The culprit, Ember, the Elkins Volunteer Fire Department’s mascot and in house Dalmatian. Ember is my favorite part of working at the Fire Department. She is an inquisitive pup, and she often manages to provide a distraction at work. Sometimes I take a break to chase her around, sending her into the Chief’s office all wound up. Chief Meader often returns the same favor. Overall, the Elkins Volunteer Fire Department is a great place to work and I look forward to the challenges it provides us. Stop by any time for progress updates! After receiving substantial damage from Hurricane Sandy, this beautiful state park is once again open! 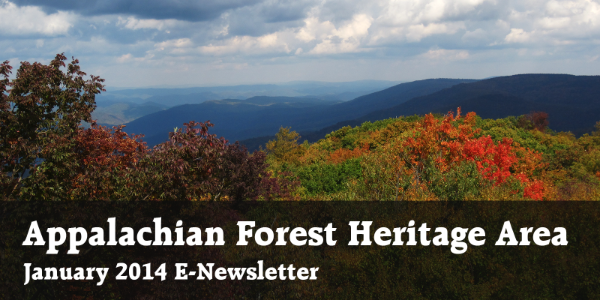 One of the last old-growth forests in the Appalachian highlands and the last virgin hemlock-mixed hardwood stand left in West Virginia, this forest is a remnant of a time when massive hemlocks still covered the area. Explore the rich history of transportation in the U.S. along this 184.5 mile canal in western Maryland. Operating for nearly 100 years, the canal was a lifeline for communities along the Potomac River as coal, lumber and agricultural products floated down the waterway to market. Allegheny Mountain Radio, based in Pocahontas County, is a network of public and non-commercial stations serving the two Virginias of the Allegheny Highlands, broadcasting on 1370 AM Frost, West Virginia; 88.5 FM WNMP Marlinton, West Virginia; 89.7 FM Monterey, Virginia; 91.9 FM Hillsboro, West Virginia; 103.5 FM Durbin, WV; and 107.1 FM WCHG Hot Springs, VA. This refuge preserves the unique wetlands and uplands of the high elevation Canaan Valley. Enjoy programming all winter long, including skiing, bird walks, and snowshoeing.